“Governance” of the REAL-ID database | Papers, Please! “Governance” of the REAL-ID database – Papers, Please! We’ve been trying for years to find out who is really in charge of the national ID database being created to enable states that choose to do so to comply with the Federal REAL-ID Act of 2005. The national ID records system includes the SPEXS database and the S2S data network and system of central-site applications. 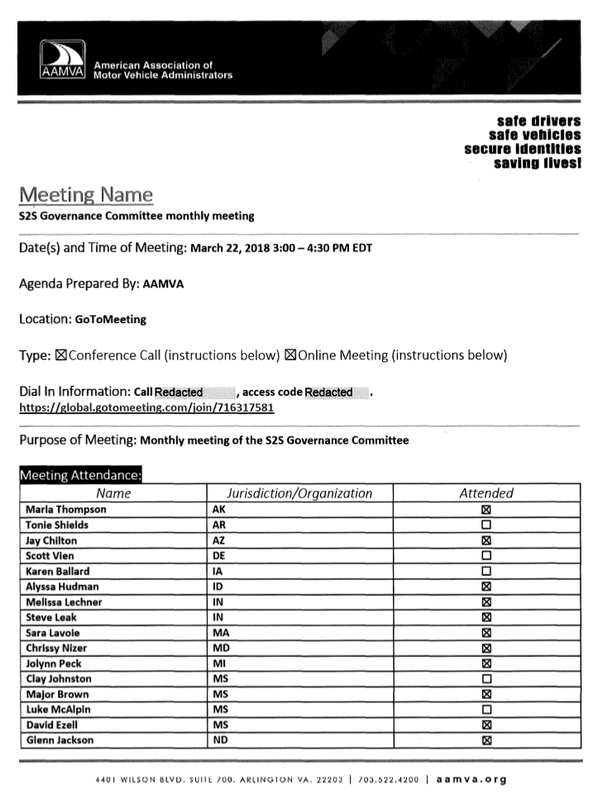 S2S, including SPEXS, is operated by AAMVA (a non-governmental non-profit organization whose members are the directors of state driver licensing agencies) and Clerus Solutions (a for-profit private contractor most of whose executives are revolving-door former staff of AAMVA). But who is setting policy? Who decides what information from state drivers’ license and ID records is included in the central “pointer” database? Who decides what other entities are able to retrieve, mine, or otherwise obtain or use these records? Are state governments really in control of their residents’ data once it is uploaded to the central site (outsourced to Microsoft as a cloud hosting provider)? Or is Is the US Department of Homeland Security, AAMVA, or Clerus Solutions in the driver’s seat? Documents we’ve recently received in response to a request to the state of Alaska under that state’s public records law don’t answer many of our questions, but shed more light on on this little-known, aggregated, privately-held database of personally identifying information obtained from state records that already contains data about roughly 50 million US citizens and residents. AAMVA and Clerus Solutions are active participants in the governance process for the REAL-ID database, not just implementation contractors. 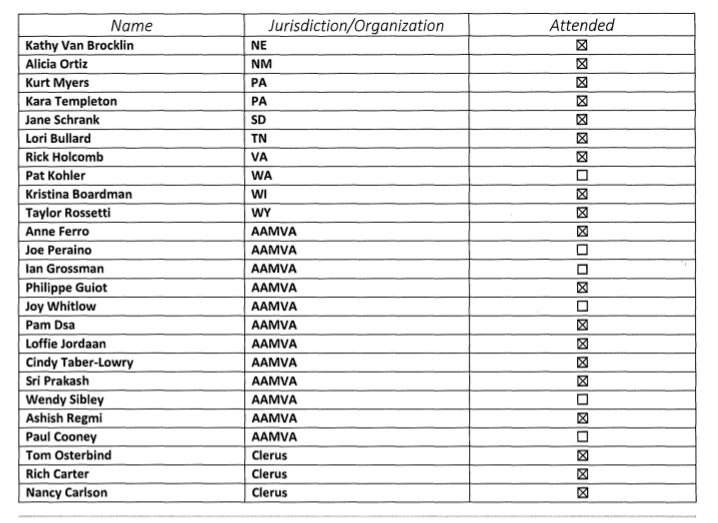 Some boards of directors are largely rubber-stamps for staff recommendations, and the S2S (and SPEXS) Governance Committee of AAMVA appears to be one of them. The SPEXS database includes a “pointer” record for every driver’s license issued by a REAL-ID compliant state, including “non-compliant” or “ordinary” licenses without the REAL-ID gold star marking (pp. 37-38). Nobody who has a driver’s license from a compliant state can opt out of having their personal information included in the national database, even if they request a “noncompliant” license. This is consistent with the compliance criteria in the REAL-ID statute. For reasons not explained in the records we have received, states are not yet being required to upload pointers to “noncompliant” non-driver state ID cards. But this is recognized as a problem, and the upload requirements could be changed. Automated facial recognition could be added to the national ID system (p. 88). One of the priorities for use of future DHS funding for S2S and SPEXS is a “Pilot project using Digital Image Access and Facial Recognition for duplicate resolution. This project will provide a grant … facilitate a multi-state effort to develop a best practice method for states to … determine if two pointers … are for the same identity set and the same person. The best practice method would focus on combined use of tools such as Digital Image Access or one-to-one facial recognition.” Drivers license and ID photos aren’t currently included in SPEXS records, but could be added — the data elements required to be uploaded by each participating state are determined by, and could be changed at any time by, AAMVA’s S2S Governance Committee. The national ID database will be hosted by Microsoft (p. 38-39). The records we have received don’t say how or by whom the database is or was being hosted, but it is being migrated to the Microsoft Azure cloud platform during FY2018 and FY2019. Massachusetts was worried about the stress on the system of trying to upload records on all its drivers’ licenses and IDs over a single weekend (p. 75). The S2S governance committee declined to change its systems of uploading all of each new state’s records over a single weekend. Massachusetts reluctantly went through with the upload over a single weekend in March 2018, with hours-long waits for licenses and IDs the next week. The fiasco suggests that the system may not be ready for the load generated by adding records from larger states. More states are participating in S2S ands SPEXS planning than have publicly disclosed plans to upload state residents’ data to SPEXS. For example, the California Department of Motor vehicles claimed in December 2017, in response to our objections to its plans comply with the REAL-ID Act, that, “The federal REAL ID regulations do not address the creation of a federal database.” California is not listed on the latest S2S/SPEXS participation map as actively preparing to join the national system. But just a month earlier, the S2S Governance Committee was told that, “California (CA) has requested to only load pointers that have SSN(s) associated with them.” (p.75) And the Director of the California DMV traveled to Milwaukee to attend the latest S2S Governance Committee face-to-face meeting (p. 10). Presumably she attended as a non-voting observer, but that isn’t clear. Other states’ participation in S2S and uploading of residents’ data to SPEXS may have violated state public records and/or personal data laws. Records released by the state of Wisconsin in response to a request similar to the one we made to the state of Alaska suggest that the Wisconsin DMV may have failed to provide required notice and obtain required approvals from the state Public Records Board for data matching and sharing. If you obtain records about S2S or SPEXS participation or REAL-ID Act compliance from other states under their public records laws, please let us know. No doubt a National ID will be introduced, with a Proviso that it is now needed, inorder to live in and Function in Society. This might well come about under Trump. then a Global ID will be used. BioMetrics….5G Millimeter Wave can Read DNA…..AI (which is no more than autopilot, will control activities. Communications and Surveillance Will occur throught the Space Fence. I will end my comment here. Pingback: TSA Announces "biometrics vision for all commercial aviation travelers"